So it’s been a great year for most of us country people especially during this time when the country is going through recession – so I heard. But nonetheless, the state of the nation cannot truly rob us of some nice DSTV and GoTV time. The red hot movies are still on, those very interesting TV shows abound and not to mention; those over the top football matches. Who wants to miss all that excitement? Well that’s got to be me writing next to my TV screen. But we can multitask – can’t we? Or better still, make time for the fun time. But the struggle is always to make life as easy as possible, that is, to be able to get things done as fast and as easy as possible. Technology is here for us and we have got to make the most of it. 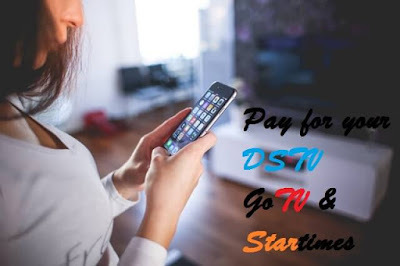 Why go through the pain when there is always an easy way out especially when it comes to making subscription payment online for your GoTV, DSTV and Startimes. So there are a lot of ways to make payment (online) for those exciting TV programmes but today, you will learn how to make those payments using a smartphone app called Zoto. Zoto has been around for some time. Most smartphone guys know about it but others don’t. But the bulk of those that use this android app only use it to recharge their phones. Especially with those 100 percent bonuses and the weekly 50 percent bonuses (twice a week) they enjoy by using the app. Now all your bonuses will be credited to your zoto account as zoto cash. Your zotocash can be used to purchase airtime anytime anywhere and for any network of your choice. But now, you can also use your zoto cash to make your DSTV, GoTV and Startimes subscription. Cut to the chase man! So if you do not have the application, the first thing would be to get it. Visit the link with your smartphone to download the app using referral code EKEMIR2. Download and install the application. Fill in your details and set up payment information. If asked for referral code, use EKEMIR2. It’s that quick and easy. If you face any difficulties with this payment procedure, use the comment session below and you will get help ASAP. Be the first to know whenever a new article is posted.